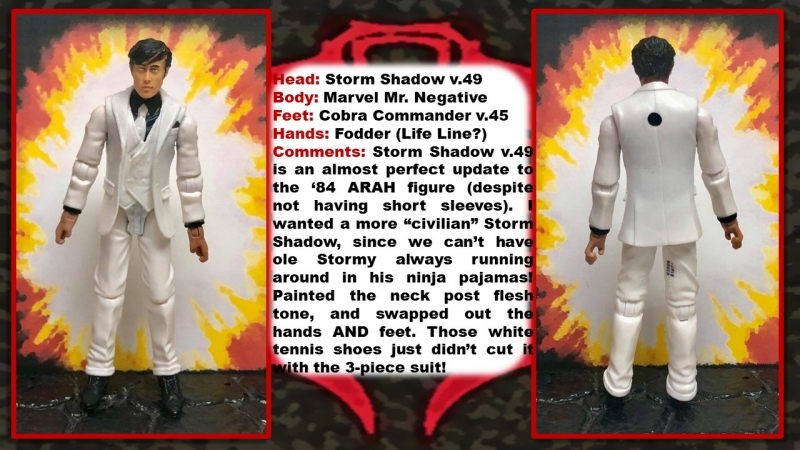 As I was updating my "Class of 1984" customs, I felt like Storm Shadow v.49 is a near perfect, modern version of that character. So, I wanted a more "civilian" Storm Shadow, since we can't have ole Story always running around in his ninja pajamas. The base for this figure is Marvel Mr. Negative which came in the Capcom 2-pk. I painted the neck post skin tone to match the head, swapped out the hands and feet. The white tennis shoes that Mr. 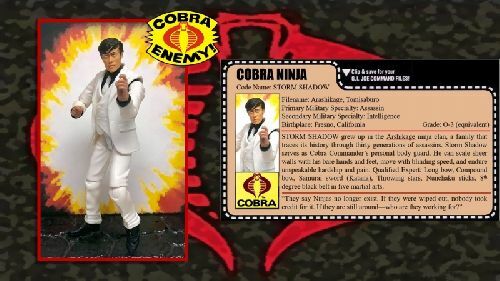 Negative came with just do not cut it with that nice 3-piece suit. I think the black winged-tips look a whole lot better.